Savannah, Georgia, is one of my favorite places to visit. It is home to some fabulous houses that we enjoy photographing for our magazines. I had the privilege of interviewing Laura McCarthy of the Savannah Tour of Homes & Gardens, and I asked Laura to tell us about the tours and the marvelous community work that is done with the proceeds. 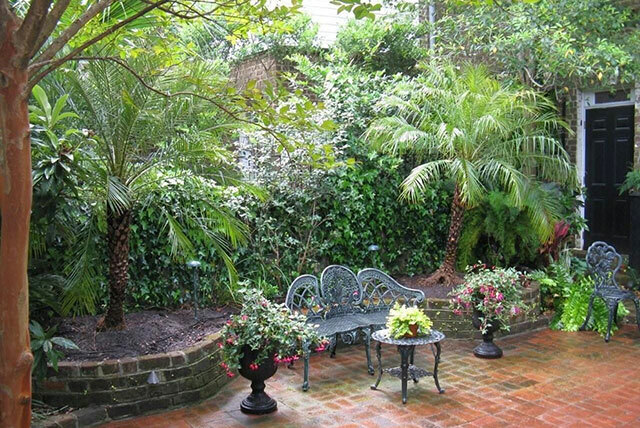 Laura McCarthy: This year’s tour is the 80th Annual Savannah Tour of Homes & Gardens; it is definitely a big deal to us and to our volunteers, not to mention the countless organizations and community members who have benefitted from the Tour. We are a volunteer-driven non-profit who not only hosts thousands of guests each year for our events, but most importantly we are able to pour thousands of dollars back into the community. In post-Depression Savannah in 1935, a small group of church ladies gathered to brainstorm about how to raise money to feed the hungry. They decided to open their doors and charge admission to see them; that first year they raised $50 and were over the moon with delight—and hence the Tour was born! As you can see, our mission began as feeding Savannah’s hungry, and this is still important to us, but we have since expanded to include many additional missions. In the 1970s we began partnering with Historic Savannah Foundation, and through them we support historic preservation initiatives, as well. At the Ruby Jubilee, we are honoring four of our past chairs who have been very dedicated to the Tour for many years. We also have an event chair each year, and this year it is Mollie White. She recruits the committee chairs, who recruit their committees. By the time all is said and done we have about 700 volunteers each year! We are so grateful to them; an event of this magnitude could never happen without that kind of support. Our homeowners are also critical to our success. Each year we rotate which houses/gardens are on Tour, and we do not repeat them for at least 4-5 years (unless a house changes ownership and we feel it is “different enough”). It is quite an honor to be chosen to be on Tour and also quite a commitment, for which we are eternally grateful! Each of the four days of the Tour is in a different section of the city, so guests can come multiple days and see different homes and gardens each day. The architecture in Savannah can vary widely, as can the decorating styles—sometimes we even surprise guests with a modern or contemporary home! It is fun to juxtapose what you can do with a traditional space in a not-so-traditional manner. We do, however, limit this to at most one a day because although our guests enjoy the variety, we have found that they primarily want to see traditional styling. 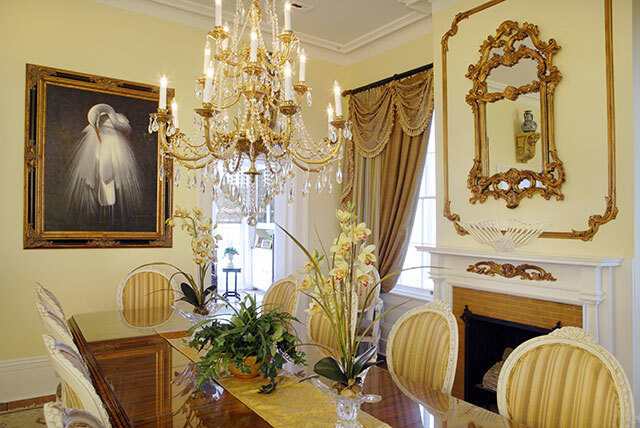 The Tour offers a rare opportunity to enter some of Savannah’s finest private homes and experience the architecture, furnishings, and collections that have been treasured by families for generations but seldom seen by the public. These properties have been meticulously restored, preserving the character of the space yet allowing for the enjoyment of modern amenities. Several sites incorporate more current design trends. The 2015 Tour features homes in two of Savannah’s National Register Historic Districts. 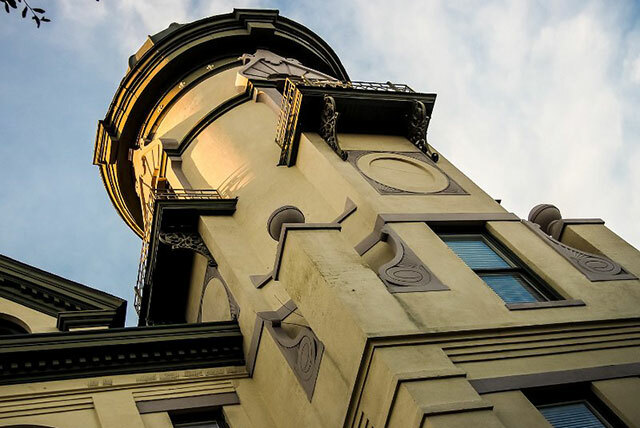 Thursday through Saturday focuses on downtown, home to the largest urban National Historic Landmark District in the United States featuring 22 oak-canopied squares surrounded by lovely homes, businesses, and churches. 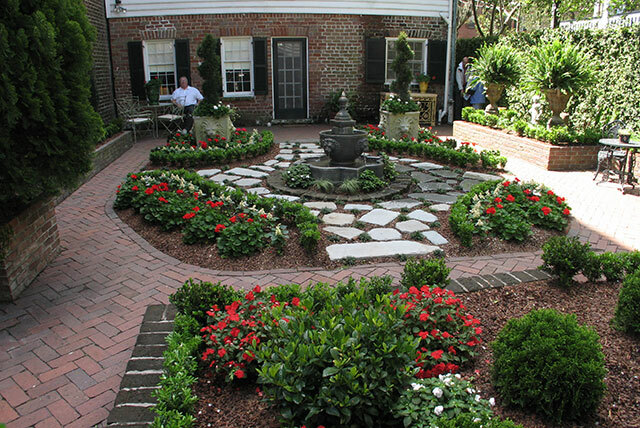 Ardsley Park, Savannah’s first planned suburban area, is featured on our Sunday Tour. Thank you Laura for the wonderful work your organization does in Savannah. We love visiting there when we are working on our magazine Cooking with Paula Deen. The dates this year’s tour are March 26-29, 2015. Go to savannahtourofhomes.org to browse the brochure that tells you all about the wonderful events that will take place. 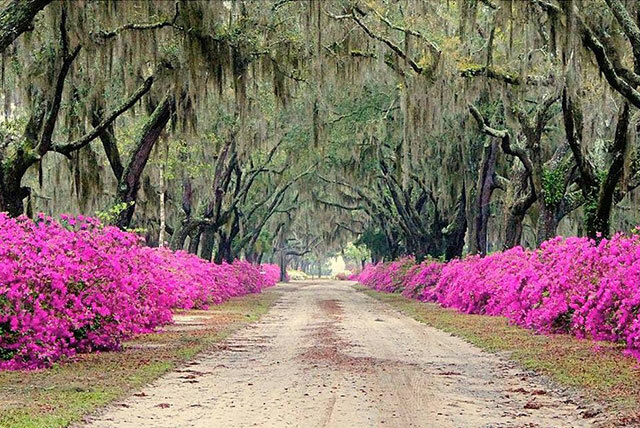 Have you ever visited Savannah? I’d love to hear about your favorite sights! I have always wanted to visit Savannah and take the Midnight in the Garden of Good and Evil tour. Now I want to add this tour to my list as well. I can only imagine how much work it takes to put something like that together. Thank you so much for featuring the Savannah Tour of Homes & Gardens! We are so honored to be able to present this charitable event each year. We hope y’all can make it down this March to join us! My husband and I vacation in Hilton Head every May. One day is always a Savannah day. Last year, my husband treated me to tea at The Pharmacy (operated by SCAD students). It was delightful. As we were walking the square, we happened on a tag sale. Needless to say, we now have a piece of old Savannah in our home. Do walk and enjoy the beautiful scenery and shops, but be mindful of where you park, and how long. LOVE Savannah, we were there last year and just loved it…such a rich and colorful city! I wish I lived closer…to go more often. One of my favorite southern cities. Oh I love Savannah. My husband and I took a two week vacation through the south three years ago when our youngest left for college. Highlight of my life. So happy we were able to dine at Paula’s restaurant and Leopold’s Ice Cream – NUMO. Everything was amazing – too much to list. Take the trolley tours they are wonderful….even in the rain we loved every minute. A return trip is in the future. beautiful city. We will go again soon. Thank you for the lovely photos. I lived in Hilton Head for seven years and went to quite a few of the Savannah tours and I have loved everyone of them. The gardens are outstanding and the history of the homes is fascinating. I would tell anyone that can, go to the tour. 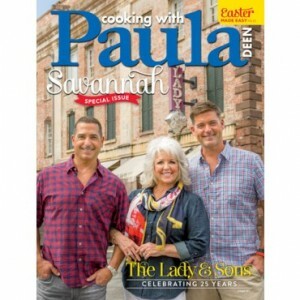 Love Paula and look forward to a trip to Savannah, one of these days, to drool over the beautiful architecture.